Insulated Panel Services | Performance Contracting Inc.
Quality solutions for your building's thermal moisture envelope. PCI’s Insulated Panel Services has two main product lines: Low Temperature Construction and Roofing. We have the technical know-how and experience to provide insulated panels for low-temperature, clean room, commercial and industrial facilities. We have also experience in the development of insulating block kilns, to improving kiln performance and maintaining product integrity. While PCI services the nation and is familiar with a variety of building codes, our team is well versed in the Florida Building Code and we understand the different installation requirements for the various wind zones and uplift designs. We can help you comply with Factory Mutual Global requirements and work with vendors on proper installation methods to ensure your roof will meet design codes. 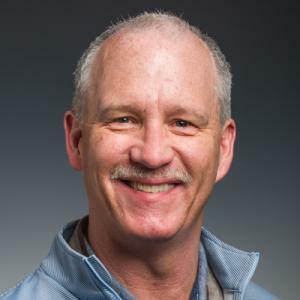 PCI is able to work with vendors on design criterion to meet or exceed these applications through fastener systems or span limitations to structural steel. Our team expertise is most valued at the front-end design phase where we can assist engineers and architects with material selection, critical construction detail input, and help with wind-loading analysis. Additionally, our understanding of United States Department of Agriculture (USDA) and Food and Drug Administration (FDA) requirements for materials gives us an edge on the competition. Our Quality Assurance Program is very comprehensive. PCI starts each project with an internal review by the project team for each job’s unique requirements. A checklist system, with appropriate internal hold points, is used by both field and office management personnel to ensure installation meets design specifications. Photo documentation is used in conjunction with our checklist to document installation. From verifying vapor barriers are overlapped and sealed correctly, to confirming door operation, PCI’s quality process is comprehensive from start to finish. 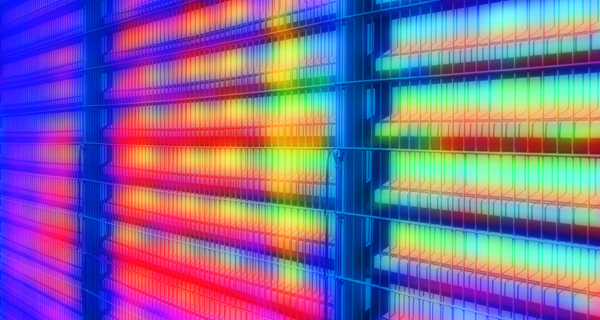 PCI utilizes thermal imaging for both quality assurance applications and existing facility problem diagnosis. This capability allows PCI to both verify our end product is installed correctly and to assess existing problems quickly for a root cause determination. This adds value to you, knowing the installation is correct and reducing the time to make corrections on existing issues. PCI has over 200 combined years of management experience installing low temperature products. We understand how critical the thermal moisture vapor envelope is to a building’s operation and efficiency. 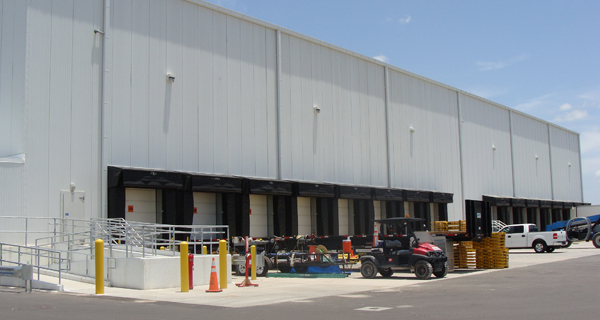 PCI has extensive knowledge of building complicated new construction projects with exterior panels, cooler and freezer box within box configurations, expansions, and renovations to existing facilities. Installing insulated panels is our core work. 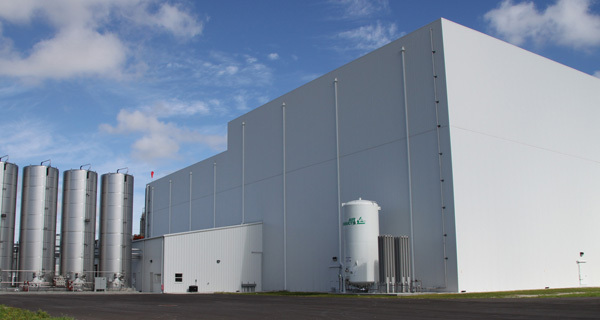 We use these energy-efficient, clean, and bright panels to form the ceilings and walls of freezers, coolers, and other temperature-controlled environments where it is critical to the integrity of product and/or manufacturing process. Additionally, PCI uses panels in the construction of manufacturing and commercial facilities. We utilize this material in new construction, renovations, and expansions. Our approach adds value to our customer; value derived from ROI savings in performance, appearance, and reduced facility maintenance costs. Each panel composite has unique insulating, fire protection, and spanning capabilities. PCI understands each application and will help you choose the right insulated panel to match your need. Not only does PCI install these doors for new construction or renovations, we also provide essential maintenance services to these doors. Doors are paramount to your facility operation. If not maintained, they can cause thermal loss, loss of production from your employees, or even pose a safety risk if the safety devices are no longer operational. PCI can maintain, troubleshoot, and replace worn door components or the doors entirely. Our team understands how important these doors are in your operations and has the expertise to help you maximize your investment. 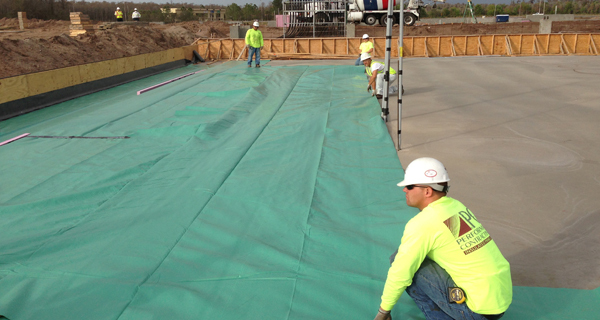 The most critical component to any low-temperature installation is the integrity of a monolithic vapor barrier. PCI understands how fundamental this is for the continuing operation of your facility. A failing vapor barrier system can cause moisture infiltration, frosting, and ice build-up; all characteristics that are negative to a low-temperature environment. We install vapor barriers under slabs in freezer and certain cooler configurations. Our team will ensure that this vapor barrier connects correctly to the exterior wall system. PCI is also very knowledgeable in another critical vapor barrier situation: the roof-to-wall juncture. This detail is especially problematic if your selected roofing contractor does not understand the importance of a solid vapor barrier system. Combined with our roofing services, PCI has the capability to successfully install a quality system for this vital area on your low temperature facility. If you have an existing facility and you suspect vapor intrusion, please contact us at (863) 644-4738 to investigate and offer a comprehensive solution. 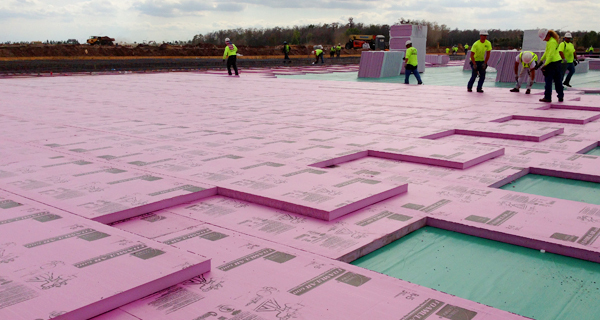 PCI insulates floors and allied floor parts to improve thermal performance in buildings. In cold storage facilities, floors are insulated to create the proper thermal moisture barrier. Insulation material R-values, density, and compressive strength vary. These are items to consider especially when your facility is a heavy duty freezer or other refrigerated area where thermal and moisture vapor control is critical. The PCI team understands the importance of the details, like ensuring the proper staggering of multi-layered installations and confirming all gaps between insulation boards are tight. Floor insulation is crucial to the longevity of your low-temperature finished floor. PCI offers innovative semi-permanent temperature-controlled wall systems also. 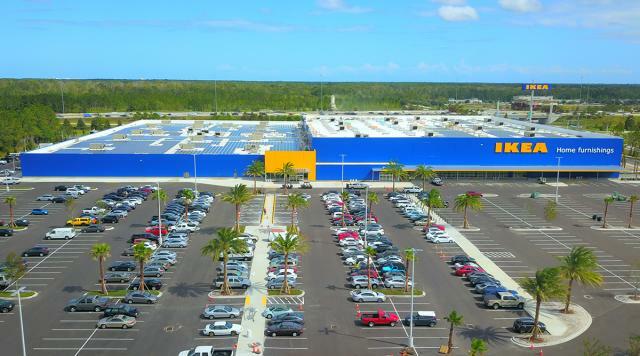 Utilizing insulated curtain walls, you can economically reconfigure existing spaces to enhance your operation’s utilization of space. 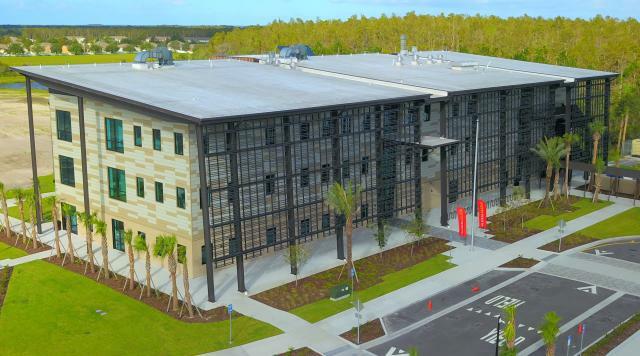 Our team installs curtain walls in a variety of applications and configurations. These semi-permanent walls allow you to create temperature zones within an existing building without permanent modification. Let PCI help you decide if this is the right solution to meet your needs. While PCI services the nation and is familiar with a variety of building codes, our team is well versed in the Florida Building Code and we understand the different installation requirements for the various wind zones and uplift designs. We can help you comply with Factory Mutual Global requirements and work with vendors on proper installation methods to ensure your roof will meet design codes. Our program is very comprehensive. PCI starts each project with an internal review by the project team for each job’s unique requirements. A checklist system, with appropriate internal hold points, is used by both field and office management personnel to ensure installation meets design. Photo documentation is used in conjunction with our checklist to document installation. From verifying insulation is butted tightly together to verification of sheet width to meet wind loading design, PCI’s quality process is comprehensive from start to finish. The PCI team also provides maintenance and repair services for existing roofs. A roof is an investment and one that requires periodic preventative maintenance to perform at its peak. Our extensive experience with a variety of manufacturers and installation situations makes PCI the most comprehensive servicer of existing roofing installations. We respond to service emergencies 24 hours a day to ensure minimal impact to your operation. PCI also specializes in complicated metal fabrication assemblies for flashings, gutters, and downspouts. 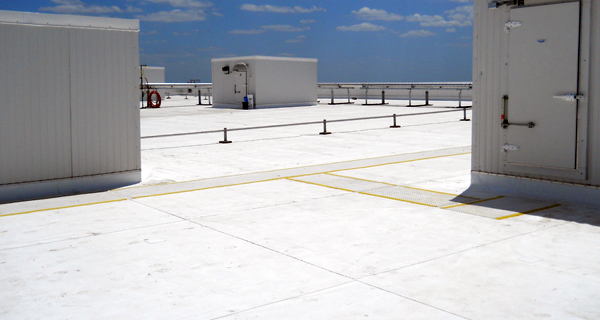 The roofing services provided by PCI are vast in different material and installation methods. From repairs or maintenance to existing roofing or new installations, PCI is your first choice for a comprehensive roofing contractor. PCI boasts a whopping combined installation experience at management levels of more than 100 years of roofing. While we specialize in low-temperature roofing, we also have the expertise to provide services to the commercial and industrial markets. On new installations, we understand the need for a quality installation from the beginning. The design of the roof system is paramount in a successful installation. Our team can help design the most economical system for your roofing needs. PCI is well-versed in fully adhered and mechanically fastened installation methods. We utilize a variety of membranes: single-ply membranes, Polyvinyl Chloride (PVC), and Thermoplastic PolyOlefin (TPO). 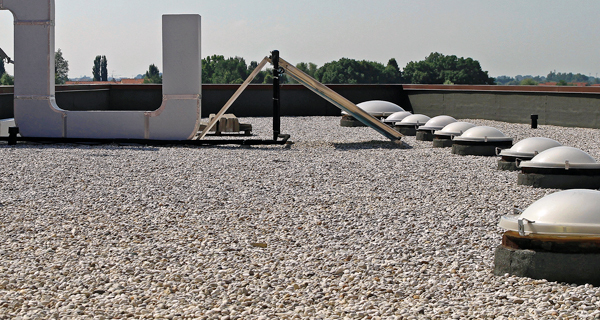 Our capabilities as a low-temperature contractor give us a thorough understanding of critical details like roof vapor seals and their importance in your building’s envelope. The most critical component to any low temperature installation is the integrity of a monolithic vapor barrier. PCI understands how fundamental this is for the continuing operation of your facility. A failing vapor barrier system can cause moisture infiltration, frosting, and ice build-up. These are all characteristics that negatively impact a low-temperature environment. One vital detail occurs at the roof-to-wall juncture. This detail is especially problematic if your selected roofing contractor does not understand the importance of a solid vapor barrier system. Combined with our low temperature services, PCI has the capability to successfully install a quality system for this vital area on your low temperature facility. If you have an existing facility and you suspect vapor intrusion, please contact us at (863) 644-4738 to investigate and offer a comprehensive solution. 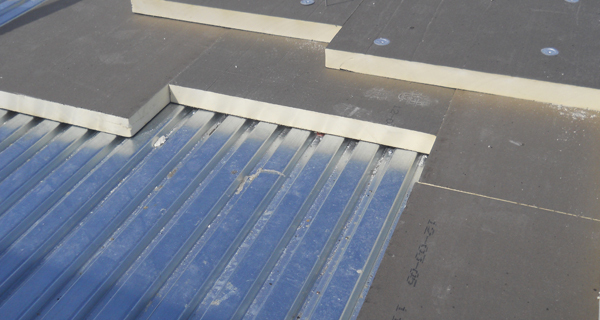 An area susceptible for thermal intrusion or loss is through the roofing assembly. PCI understands different roofing insulations and R-value properties of insulation. PCI understands the importance of the details, such as ensuring the proper staggering of multi-layered installations and ensuring all gaps between insulation boards are tight. If your need is commercial or low temperature, let PCI help determine the accurate amount and type of insulation needed for your project. PCI has a full-service metal fabrication shop with capabilities to create flashing materials for intricate details and specialty flashings related to roof system applications and insulated metal panel trim and flashings. We have the capability to mechanically form and bend most metals. Additionally, we have invested in a state-of-the-art Pittsburgh machine to create seam closures. Complicated metal details are a forte of PCI. We would love the opportunity to show you our capabilities. Roofing Insulation – single layer or multiple layer for desired R-Value. Multiple layers of fiberglass or organic felt as specified by the manufacturer’s specification. Surfacing – smooth surface with applied coating, granulated cap sheet or aggregate surfacing where allowed by the governing building authority. A properly installed built-up roof assembly is a little more of an initial investment than a single-ply system and as with any roof system requires periodic maintenance. However, the life span of the roof is very long; PCI still maintains built-up roofs over 30 years old. PCI offers cleaning and sanitizing services for your facility. We adhere to United States Department of Agriculture (USDA) and Food and Drug Administration (FDA) requirements for cleaning processing facilities during shutdowns and know the benefits for preventative cleaning throughout your production cycle. PCI specializes in sanitizing refrigeration units and associated ductwork, process room cleaning, and general facility cleansing. 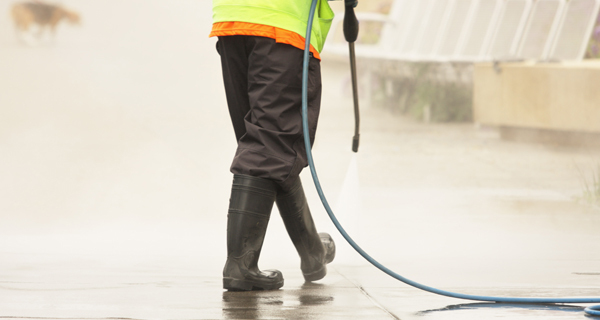 Depending upon your need, we use water or a food grade disinfecting solution to offer a high quality cleaning of your critical areas. We have a variety of equipment designed to give the proper flow of water and power for a wide range of applications. Let PCI explain the benefits of using our services to allow your equipment to operate more efficiently and to comply with government sanitizing regulations. 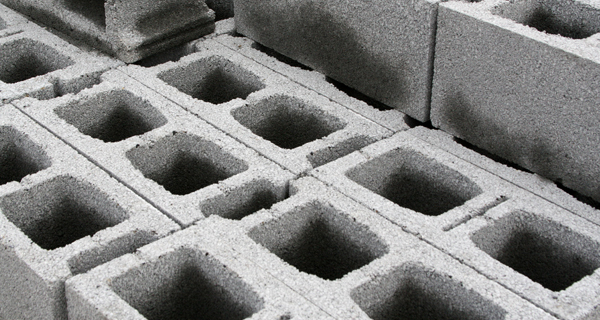 Concrete Block is a fundamental component to the building construction industry. 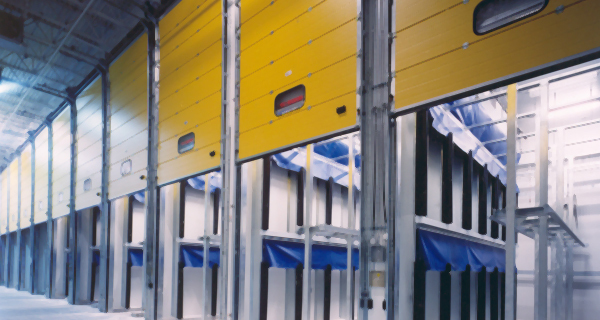 PCI pioneered the use of energy-efficient insulated panels with a block company for their kiln. As part of the curing cycle, block kilns utilize a balance of heat and moisture to offer the best conditions for curing. 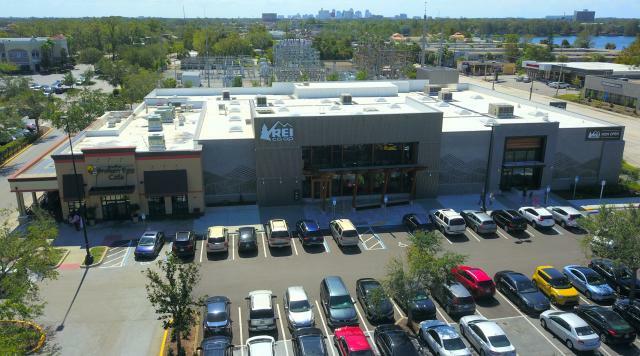 The heat retention and moisture control requirements made insulated panels a perfect solution for these projects. The cost of energy is expensive. Any operational efficiency you can design into your building gives you an edge over your competition. Architectural insulated metal panels offer a highly energy-efficient and very aesthetically pleasing solution. With a wide variety of finishes, textures, and color schemes available, why would you not consider upgrading your facility? Insulated Panel Services offers a wide variety of options to meet your needs. Give us a call at (863) 644-4738 to discuss your project and together we can develop a Return on Investment (ROI) on integrating architectural panels into the design. 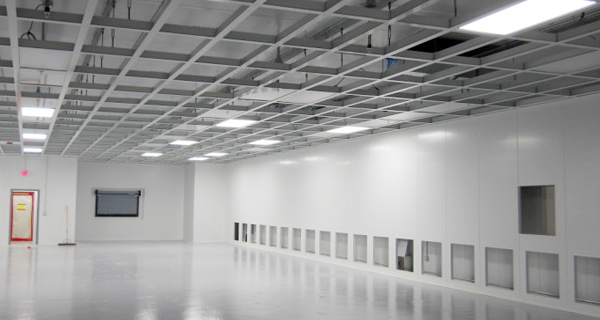 Whatever your cleanroom needs, Insulated Panel Services will bring first-class cleanroom technology and project management experience to your project from concept, through design, and to final completion. PCI has experience in constructing cleanroom envelopes and offers a clean economical means for enveloping your controlled cleanroom environment. PCI offers a complete line of products including our architectural insulated metal panels used to construct the primary exterior plenum, interior chase, and interstitial spaces required for airflow, and HEPA-Filter and lighting support. As you know, the concentration of airborne particles is controlled to specified limits and eliminating sub-micron airborne contamination is really a process of control. The level to which these particles need to be removed depends upon the standards required. The most frequently used standard is the Federal Standard 209E. The 209E is a document that establishes standard classes of air cleanliness for airborne particulate levels in cleanrooms and clean zones. Strict rules and procedures are followed to prevent contamination of the product. Please do not hesitate to give PCI a call at (863) 644-4738 so we can begin working toward your cleanroom goals today. Dock equipment is critical as material is transferred in and out of your facility. New safety devices are being added all the time to help with driver communication and operation. PCI has the latest offerings available to outfit your facility. 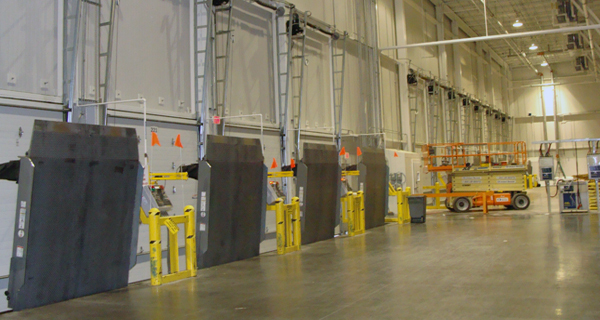 Each facility is unique and so is the material handling requirements. Let PCI help you select the right equipment to maintain safety and efficiency in your operation. Give PCI a call at (863) 644-4738 and we will discuss your operational material handling flow and where protection devices are recommended. PCI is extremely proficient in constructing citrus processing and storage facilities. We have experience building juice tank farms and facilities for more than 40 years. PCI understands the processes and requirements associated with these facilities. We are very experienced with United States Department of Agriculture (USDA) requirements and Good Manufacturing Processes (GMP). We also have been on the leading edge of aseptic juice storage construction for the past two decades. Let PCI exceed your expectations on your next project with our knowledge in the citrus market. PCI is well-versed in climate controlled facilities. We are especially strong in areas where humidity and temperature are critical to your business. PCI has solutions to fit your needs for your desired internal environment. 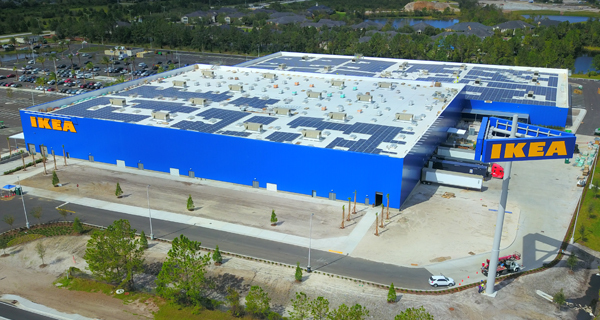 We have constructed a wide variety of buildings where climate control was critical, from distribution centers to pharmacies and everything in-between. Don’t forget our other service offerings when you are looking to build a distribution center, we understand requirements for material handling and efficiency requirements. The cost of energy is expensive, and in today’s market operational efficiency gives your business a competitive advantage. Architectural Insulated Metal Panels offer a highly energy-efficient and very aesthetically pleasing solution. 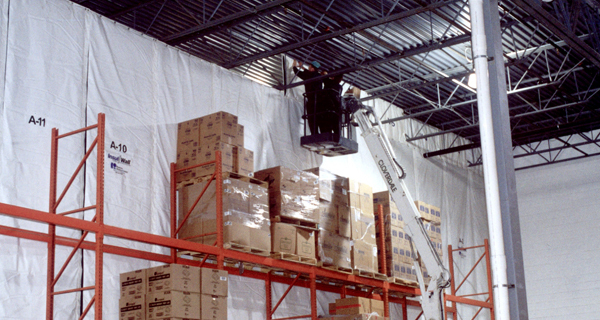 PCI builds warehouses and other distribution facilities for dry storage purposes. We also provide insulated panel services to manufacturing facilities that produce product for the automotive industry, like tires and automotive assembly plants. Similarly, we build coolers for facilities that store pharmaceutical processing. 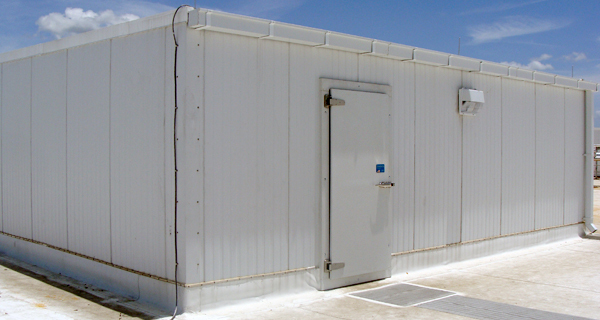 Additionally, we utilize insulated panels in cleanroom construction also. PCI offers a wide variety of options to meet your needs. Give us a call to discuss your project and together we can develop a Return on Investment (ROI) by integrating Architectural Panels into the design. With such a solution to maximize your efficiently, why not consider incorporating panels into your design? 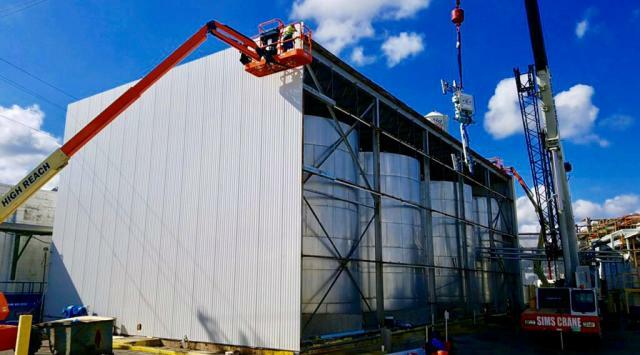 PCI was instrumental in developing and improving utilization of insulated panels into the design of concrete block kilns, revolutionizing this process with efficiency upgrades. Insulated panels help kilns to attain and retain the required balance of heat and moisture, resulting in reduced heat loss, and a shorter time to complete the concrete block curing process. This results in higher quality products and more efficient operations. This adds tremendous value and offers you an advantage over your competition. Let PCI help you maximize your investment and gain efficiency in the process. PCI continues to grow with an eye for innovation, adding scopes, and harnessing the fresh ideas generated by our people. Quality Installation. Innovative Solutions. Exceptional Service.